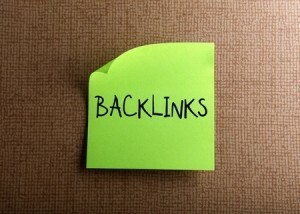 Backlinks are something that play a huge role in the success of a website. They work by linking content to another site, thereby sending traffic elsewhere. Often they are called incoming or inbound links. What they also do is help a website rank a whole lot better on the search engine results page. For small businesses that are trying to make their mark and build a customer base, their search engine ranking can mean all the difference in the world. This is exactly why it’s a good idea to familiarise yourself with backlinks, and figure out who is linking to you, and who your competitors are linking to. The good news is that it’s relatively easy to do thanks to backlink checker tools that are widely available. These tools can also do such things as measure the success or failure of a campaign, an in-depth analysis of link profiles that your competitors are using, spot SEO attacks, give you information on where you could be link building, and even track lost and new backlinks. Here’s a look at some of the best of the best that you may want to give a try. What this tool aims to do is increase your website traffic and improve your search engine rankings. CognitiveSEO is also flexible in that any sized business can use it and benefit from it. The tool acts almost like a one-stop shop that will help you to shape and really improve your marketing strategy going forward. SEMrush bills itself as a complete marketing toolkit meant to help your ratings, gain more traffic, perform an SEO audit, look into backlinks and perform analytics and an audit, and plenty more. It is even capable of generating custom reports and handling team-based projects, which may be exactly what your company is in need of. LinkMiner is an ideal tool for anyone looking for a straightforward, no fuss, no mess solution for backlink checking. You can simply key in the URL or domain, hit the ‘find backlinks’ button and information will pop up. This is meant to mine the backlinks of all your competitors and give you the insight you’re after. If automation and ease-of-use is a top priority with you when it comes to backlink checker tools, then you’ll likely appreciate the fact that Linkody is a fully automated solution. You’ll be alerted when you gain or lose links, you can spot bad links immediately, get information on your competitor’s links, and of course analyse all the information thanks to the metrics offered. Majestic dubs itself as the world’s largest link index database, which means you’re sure to find a whole lot of helpful information here. This tool is meant specifically for entrepreneurs, SEO professionals, developers, and media analysts who need in-depth information. Backlink checker tools can be an excellent way to gain valuable insight on who is linking to what, and just how successful those links are in terms of search engine rankings. With the many backlink checker tools available, you’re sure to find one that meets your needs. « What is SSL and Should You Implement It?